We, at All Things Barbecue, know well the unifying power of barbecue. It’s the one thing that connects our clients and friends across all walks and demographics. But we are about so much more than barbecue. 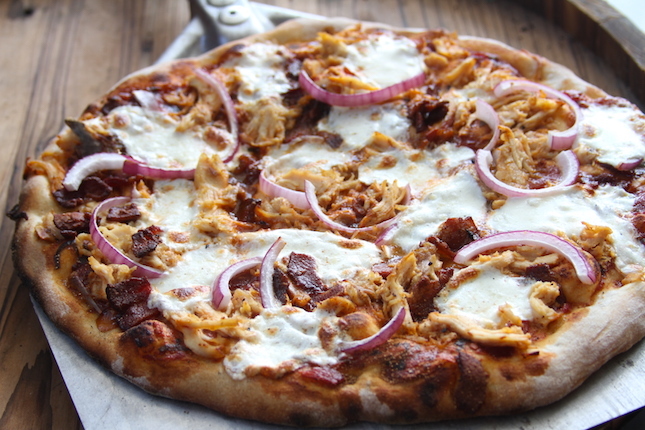 We love all things outdoor cooking, and if there is one food as beloved as barbecue it must be pizza. That is why we are sharing with you the basic building blocks that will allow you to create great homemade pizza. Step 1: Combine ingredients in a bowl of a stand mixer fitted with the hook attachment. Mix on medium-low until flour is incorporated. Once all ingredients are incorporated and a ball is formed mix 8 minutes. Transfer to an oiled bowl. Cover with plastic wrap. Let rise until doubled in size. Step 2: Turn out onto a floured surface and divide into three portions. Roll each third into a ball, place in an oiled container. Cover. Refrigerate at least half an hour before use. The flour we are using is an Italian “00” flour specifically intended for pizza making. It has a moderately high gluten content which allows it to stretch thin, but not so much gluten that it is elastic and tough. Though the flour is made in Italy, the manufacturer (Antico Molino Caputo) meticulously selects and blends the finest grains from around the world. Upgrading your flour can be the game changer that makes all the difference in your pizza, but of equal importance is how the flour is handled. When you combine the ingredients start by first pouring the warm water in the bowl then sprinkle the yeast over the water. Add the flour and the salt on top. As stated above, you’ll mix until a ball is formed, then continue to mix on medium low for 8 minutes. This is key. 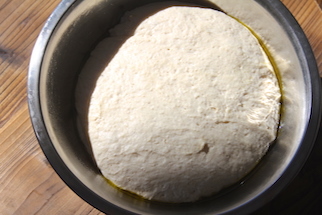 If the dough is under-mixed it won’t stretch, it will just tear. The gluten must be worked/agitated in order to take advantage of it’s stretching properties. On the other hand, an over-mixed dough can become unpleasantly tough and overworked until it won’t stretch either. 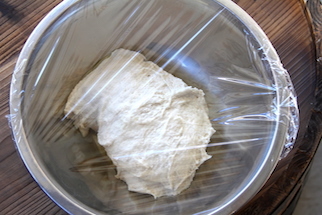 Stretching the dough can be done a number of ways. The best way to stretch is the way that feels best to you. You may stretch by hand, by tossing or with a rolling pin. However you choose, handle the dough with finesse. It will stretch well, but take your time. If you stretch too quickly or handle with too much force you may tear the dough. 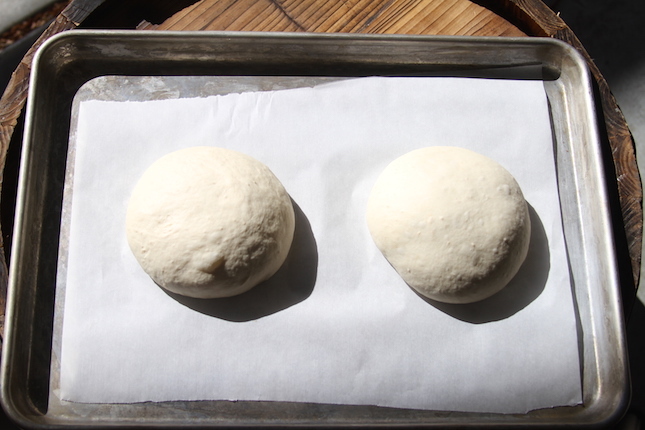 Each one of the three dough balls from this recipe will stretch to 9″-12″. Next we’ll look at sauce. There is less technique involved in making a sauce. It’s simple and straight-forward. As mentioned before, the key here is quality ingredients. Step 1: Combine ingredients. Bring to a simmer. Simmer 10 minutes. Taste and adjust seasoning, as necessary. 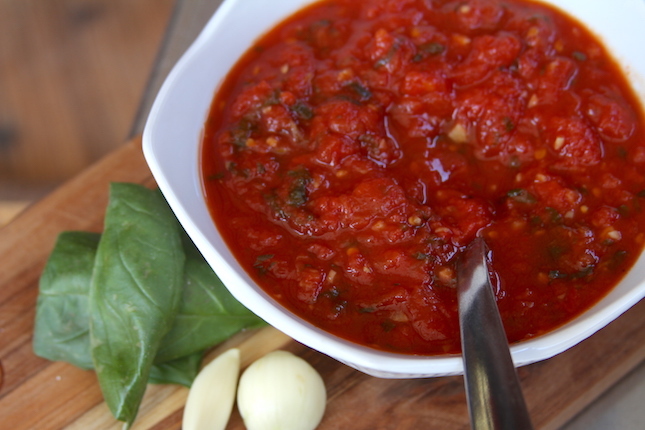 The tomatoes we are using are San Marzano whole canned tomatoes from the Valley of Sarno is Italy. The tomato itself is a heirloom variety of a plum tomato. Compared to Roma tomatoes, San Marzanos are thinner and more pointed. The flesh is much thicker and has fewer seeds. The taste is stronger, sweeter and less acidic. Due to their price and popularity, there are many counterfeit versions of this product. True San Marzano tomatoes come only from the Valley of Sarno and their packaging will be stamped “DOP” to show their authenticity. Now for the garlic. Only use freshly peeled, freshly minced garlic. If you’re used to buying minced or pre-peeled garlic, take the time to do these things yourself. The quality is noticeable. Finally the basil. Only use fresh basil. It should not be too flimsy or slimy. It should be bright green and smell fresh. These quality ingredients are combined and simmered a short time. Heating the sauce awakens and activates the flavors and allows them to be infused with one another. Again, this recipe is simple. It’s unnecessary to use 20 ingredients, when a handful of quality ingredients tastes this good. 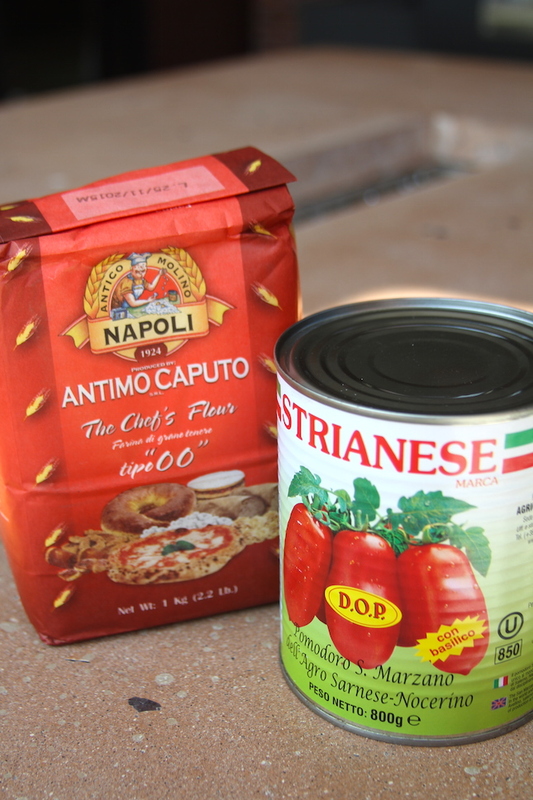 So here we have the two most basic, most important ingredients needed to build on in order to make great pizza from scratch. From here you have almost endless options for building a great pizza. We’ll be sure to share some of our favorite variations in blogs to come, so stay tuned. 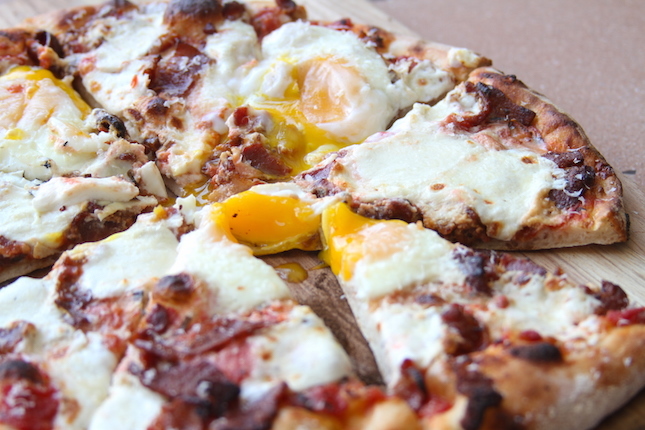 Thanks for these tips for making a good pizza. I actually didn’t know that you should mix the ingredients for about 8 minutes. I wonder if it could be good to have a timer set so you work for the allotted time, or if it’s OK to work extra long.